I will give you beauty to replace your ashes. Isaiah 61 is the passage of Scripture that Jesus read in the synagogue to announce the launch of His public ministry. This is the very reason why Jesus came to earth! He came to proclaim the good news of God's love, His desire for freedom and His promise of complete restoration to a fallen world! 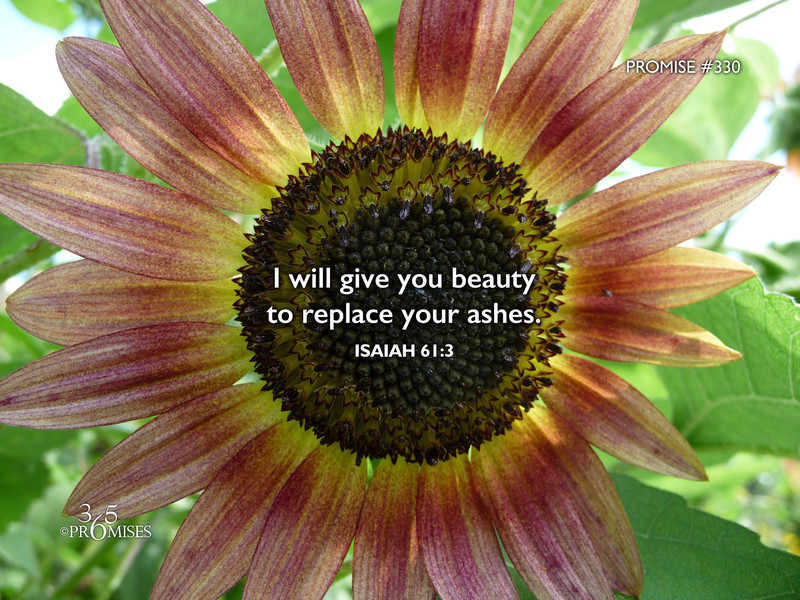 No matter what you have gone through in your life, no matter how much your life feels like a heap of ashes, the promise of God is that He will replace the ashes of your life with a crown of beauty. While we will not see the complete fulfillment of this promise this side of heaven, we all can be assured that this is where we are all headed from an eternal perspective. God's heart for you is complete restoration. Beauty for ashes. The oil of gladness instead of mourning. A garment of praise instead of a spirit of heaviness. May Papa God give you eyes to see this amazing truth today in spite of the circumstances that you may be facing and may hope rise up in your heart!